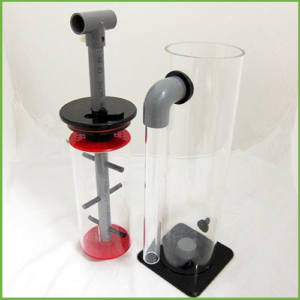 This Mini Reactor 70-X is suitable for installation into sumps and holds media such as zeolite, biopellets, GFO, activated carbon or live rock. 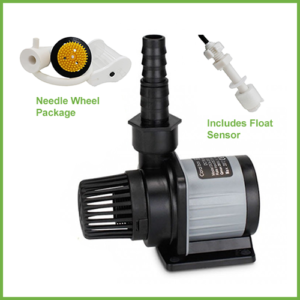 This is an all in one design and includes the Atman PH-400 pump for silent operation at 400l/hr. This Mini Reactor 70-X is suitable for installation into sumps and holds media such as zeolite, biopellets, GFO, activated carbon or live rock. 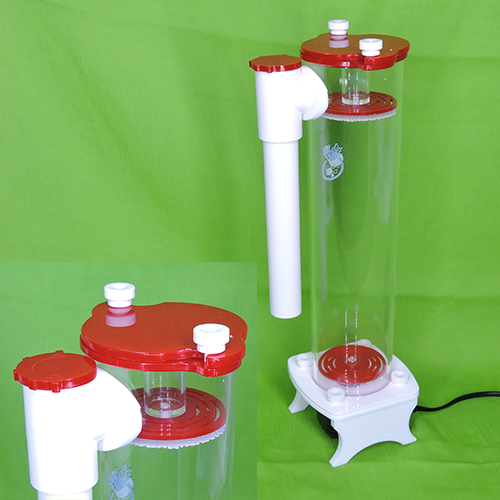 This is an all in one design and includes the Atman PH-400 pump for silent operation at 400l/hr. The reactor has an adjustable outlet flow control for easy flow adjustment. 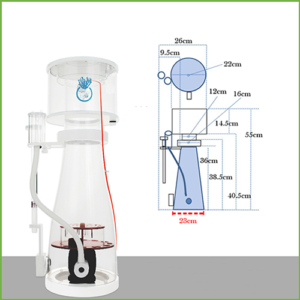 The top is easily removed by loosening the two screws, turning and lifting making media replacement and top-up a simple process. internal volume for media is around 1.3 litres which is suitable for many aquarium sizes or applications and its small size makes is perfect for the small sump configurations with limited space.